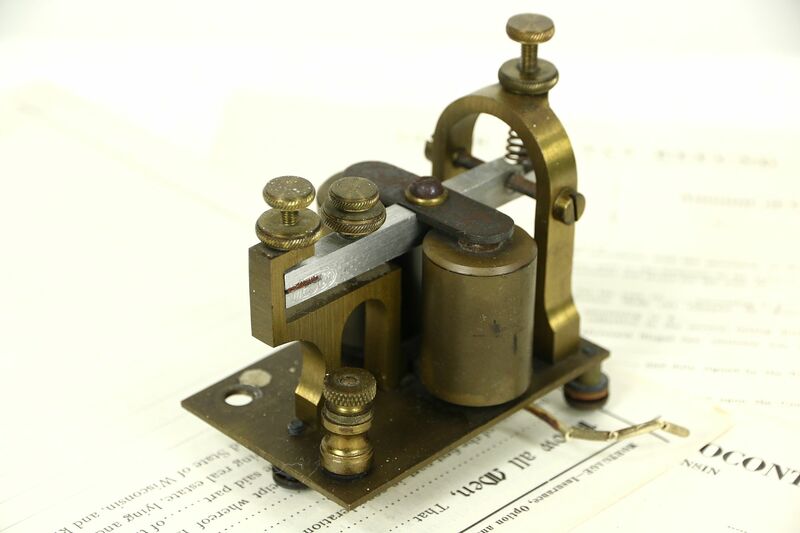 A standard telegraph receiver from about 1900 for dot/dash Morse code is solid brass, signed "Mesco." There are adjustment screws, two electric coils and electrical leads on this American made antique device. Size is 3 1/2" wide, 2 1/2" long and 3 1/2" tall.